In July I went on a photo-walk. For those who don't know, that's where I go to a specific place with the sole intention of taking photographs . . . and here they be. The area is an undeveloped subdivision. The roads are blocked off to car traffic, but people take their walks there. Slowly nature is reclaiming the place. 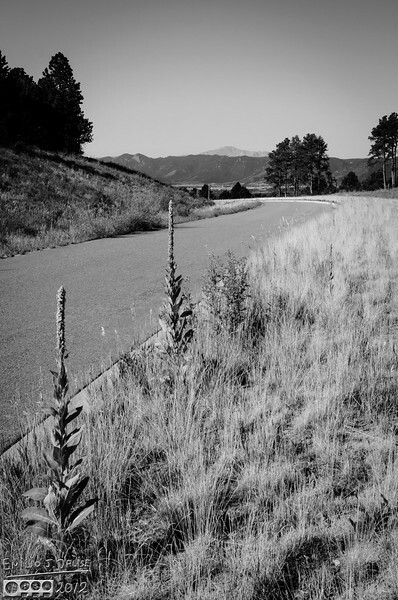 Overgrowth on the median, and Pikes Peak in the distance.